Ships are seen passing the location of yesterday?s collision between two cargo vessels outside the port of Thessaloniki. 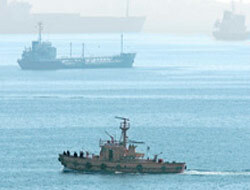 Ships are seen passing the location of yesterday"s collision between two cargo vessels outside the port of Thessaloniki. The Cypriot captain of the Greek-flagged Diamond 1 was reported missing after the ship sank in what authorities said were ideal weather conditions for sea travel. 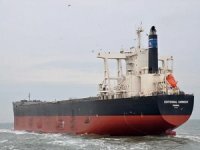 The captain of a cargo ship transporting coal went down with his vessel yesterday after it collided with another boat less than a mile off the coast of Thessaloniki, authorities said yesterday. 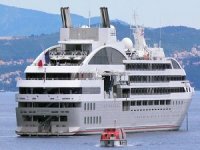 The Cypriot captain of the Greek-flagged Diamond 1, who was not identified, was feared drowned after his boat collided with the Panamanian-flagged Dubai Guardian. 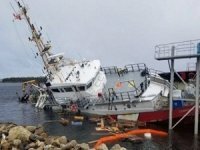 Authorities said the collision occurred as the captain was attempting to bring his vessel back on course after straying from his planned route as the boat was leaving the northern Greek port city. The seven crew members on the 67-meter Diamond 1 were rescued before the ship sank to a depth of some 20 meters. 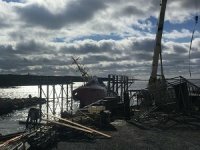 Authorities said the accident took place in good weather conditions and the ship sank in just 20 minutes. ?The two boats collided in conditions that did not indicate such a situation could develop as there was sunshine and very little wind. 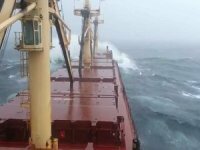 The sea was calm and visibility was ideal for sailing,? said a port authority source. The 187-meter Dubai Guardian, sailing from Singapore, was safely tugged into port. It was carrying a cargo of metal ore. Floating barriers were set up around the site where the Diamond 1 sank in case of a fuel leak. 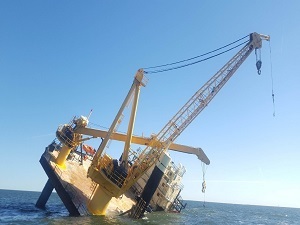 Authorities said they had taken all the necessary measures to contain any possible oil spillage and that the cargo of coal on the sunken ship was not considered to be toxic. Two coast guard vessels took part in an operation yesterday afternoon to locate the missing captain.